Claytex will be exhibiting at the Motorsport Supplier Showcase event at Selex ES, organised by the MIA (Motorsport Industry Association). 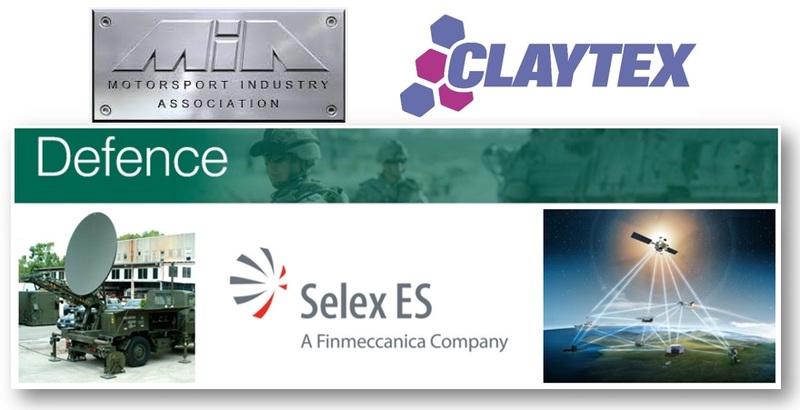 Selex ES, a Finmeccanica company, is an international leader in electronic and information technologies for defence systems, aerospace, data, infrastructures, land security and protection and sustainable solutions. From the design, development and production of state-of-the-art equipment, software and systems to through life support, Selex ES partners with its customers to deliver the information superiority required to act decisively, complete missions and maintain security and protection for operational effectiveness.